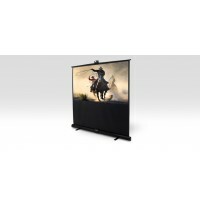 Lumene Eden 180C Pull Up Motorized Motorized floor screen for home cinema The ideal motori..
Lumene Paradise 130C Pull Up Mobile screen with telescopic arm Just pull it up: action! Re..
Lumene Paradise 170C Pull Up Mobile screen with telescopic arm Just pull it up: action! Re..
Lumene Paradise 170V Pull Up Mobile screen with telescopic arm Just pull it up: action! Re..
Lumene Switch RJ45 & RS232 For home automation system This case was designed..
Lumene Wireless screen trigger Portable screen for table presentation This acces..